Barewire brings players a ~3 hour heads up no limit cash class, designed for intermediate and advanced players. This video pack is designed to compliment his previous beginner-intermediate heads up cash pack, expanding on some of the concepts included in that well regarded series. Here are some videos with Kevin analyzing hands, similar to what takes place in this class video package. Below is a list of each section of the video pack, in chronological order. Barewire talks about having a fluid approach, using controlled aggression and playing exploitively. King of the Hill (KOTH), bumhunters and battlers are discussed. HEM, notes, color codes and population reads. Barewire talks about categorizing your opponent. Exploitive versus balanced strategies are explained. Button, big blind and 4-betting is discussed. Included are hand range discussions. Barewire uses multiple hand examples to discuss your approach to a hand, starting at the flop. Hand examples are used to discuss multi street barreling. 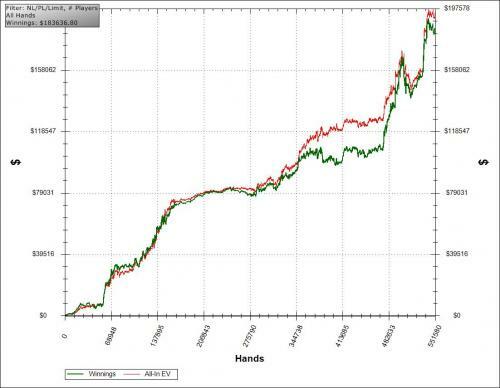 Hand examples are used to show how to adjust to your current opponent in a way that maximizes your expected profit. Throughout several hand examples, the focus is bet sizing. Some wider concepts are discussed and the “he knows I know that I know he has” guessing games are explained in this segment. Postflop hands are used to show check raise spots and concepts. Questions are asked by class participants and Barewire answers these questions.